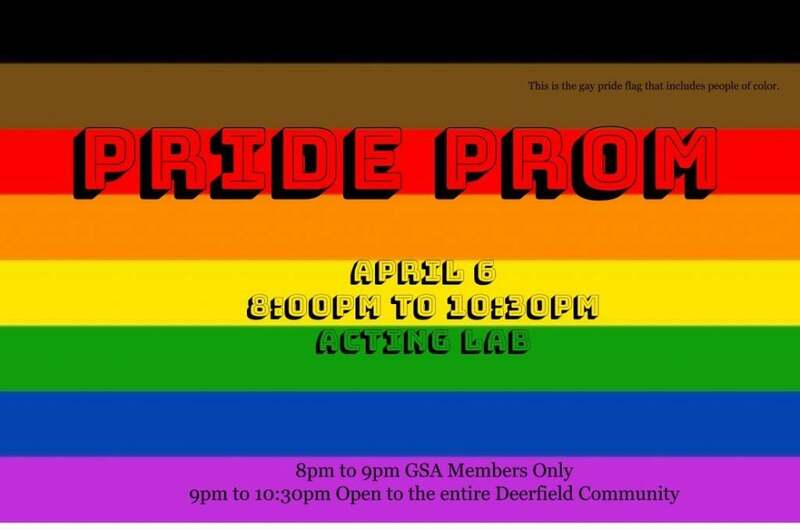 Deerfield Academy’s GSA will be hosting the school’s first Pride Prom this Saturday April 6th, from 8 to 10:30 p.m. This is a great opportunity for people of all identities to have a great time exploring the spectrum of gender expression. Put on your most fabulous outfit and come dance with us. 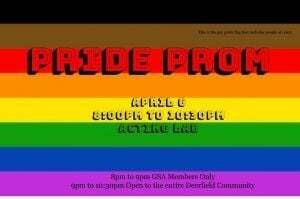 Pride Prom is going to be in the Hess Lobby. Before 9pm, we invite GSA members and their guests to help make the space fabulous and get started dancing. Everyone else, come on in at 9pm. Ricardo is our DJ, there will be pizza, chocolate fountain, a photo booth, the red carpet and clothing racks for you to try on skirts, ties, tuxes, blouses, and way more so you could choose your own combination! You should come to pride prom because it’s a chance for you to celebrate along with your queer friends in a space where they feel celebrated. We want everyone along for the ride! 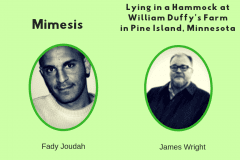 Poetry Madness Semi-Final: Joudah vs. Wright! Which poem will advance to the finals? Vote here!